The Hoy Cammo 650c is every bit as glossy, engineered and exotic looking as anything dad (or mum) would want to bring home and call their own. It was instantly liked by our testers, who valued being valued by the bike's designers, people who took their riding as seriously as they do. There are few people in Britain, and indeed the rest of the world, who don't know the name Chris Hoy. 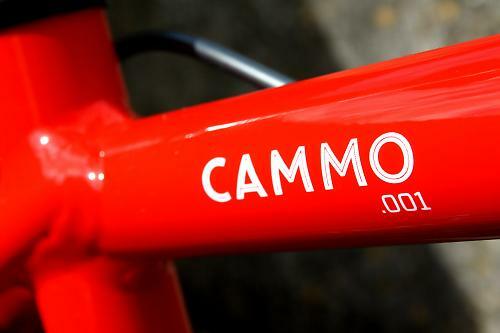 The recently retired Scottish track cycling powerhouse, world and Olympic champion, and knight of the realm launched his own brand of bicycles in 2013. Covering all bases, the Hoy range also includes kids' bikes. Chris himself was a child cycling star, racing BMX in the 1980s. 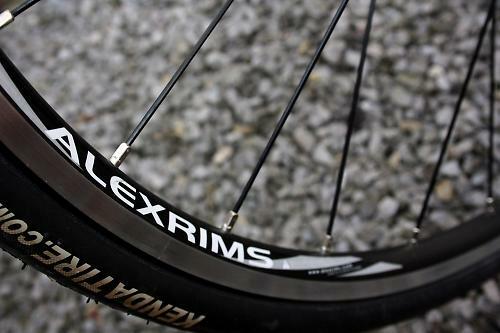 Its 650C wheels are just larger than 24in, just smaller than 700C. According to Hoy Bikes, it's designed for children aged eight to nine. Tall ones, maybe. Our 11-year-old tester (height 135cm) fitted it perfectly. The bike was an instant hit, whether riding fast or slow, on the hoods or down in the drops. It's like it simply goes where you think it; the physical input required to effect a line change is minimal. Our main tester, who is learning to ride in close peloton formation, really appreciated this ability to 'think it' into gaps or away from trouble, without having to actually steer it. The Hoy Cammo also likes to climb. The riding position ensures power from the legs, arms and back can be brought to bear to get it to the crest in short order. Off the top of the hill the bike descends with purpose and poise. At 8.8kg (19lb), it's got enough mass to stick it to rough downhills and enable it to stay on line even under pint-sized pilots. The 6061 aluminium frame is beautifully welded, with clean joins throughout, all well covered in some of the nicest paint I've seen recently. The block red and off-white is bold and the contrasting bands of light blue are what you'd expect on a bespoke custom paint job. It's a good looking, stylish road bike, not a kid's toy. Someone with a deep love of bicycles and things that look right had a hand in the way the Hoy Cammo looks. We approve. The frame itself is a compact shape, with a sporty looking sloping top tube. It's nothing too extreme, but offers good levels of standover clearance, which is useful if John or Jane is growing into it. The frame is clean and free of fuss, with down tube bottle mounts and a pair of mudguard eyelets for winter use. The alloy fork with sloping crown blends well with the clean lines of the head tube. With a 40mm offset (basically, how far forward the dropouts are of the steering axis), it offers a quick feel. It's not twitchy – this is a bike for learning the ropes of road cycling, not winning crits – but far from lazy or slow. Sir Chris is known for a lot of things, of which two are: his ability to spin 150rpm and the size of his quads. Speccing gearing for pre-teens is a hard task, as the range of body shapes and abilities varies greatly, but Hoy Bikes clearly expects riders of this age to be blessed with Sir Chris sized legs, speccing a 34/46-tooth chainring combo with a 13-26t cassette on the Cammo 650c. 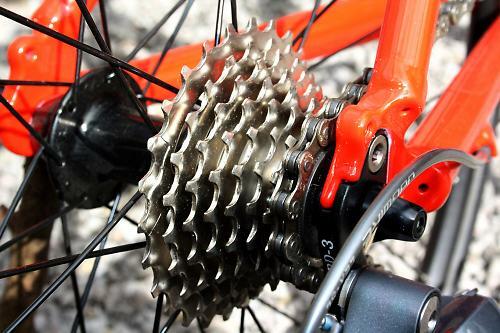 The Islabikes Luath tested recently had 36/46-tooth chainrings, with a SRAM 11-32t cassette. I'm not suggesting riders this age can't push gears like this, I'm questioning whether they should. I'm a firm believer that kids should spin, develop condition, cadence and pedalling form before speed and leg strength. Also, kids of this age (and some adults) are apt to write gear ratio cheques that their bodies struggle to cash, and when overgearing and inexperience collide, rides can be ruined. In youngsters, this can mean running out of puff before the ride is over, not making the summit, and the like. Not good for the head body or soul. I'd rather see a 32/42, which would give a deeper bailout gear and a big rig that is more sustainable for youthful fast burn/fast recovery muscles. The look of the transmission is worth noting, though: we love it. The 155mm-long unbranded Lasco alloy cranks and rings are anodised black, and clean and dainty in design. The derailleurs are grey, and through them all is threaded a lovely bright silver KMC 8-speed chain. Silver chains are rare on kids' bikes, because black ones are, generally, cheaper spec options. In my experience, fitting silver ones to youngsters' bikes helps promote a regular care and cleaning regime to keep them looking good – dirt and grime is visible and obvious. 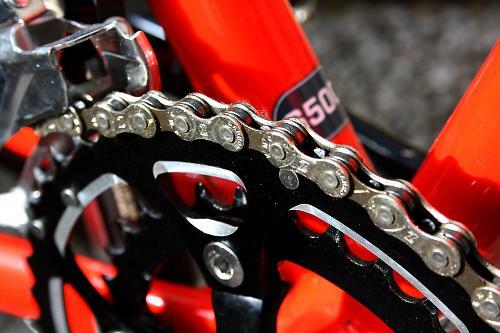 With any luck, keeping the chain shiny is a habit that will lead to them looking after every element of the bike. Operation of the gears is via Microshift integrated paddle brake/gear levers. Sized for junior hands, they're about spot on for the age group, though some will still find it a reach. The feel is light and the shifting action is clean and crisp. It's not Dura-Ace, but good all the same. The derailleurs themselves are from Shimano's excellent entry-level groupset, Claris. Everything works, is durable enough, and looks the part. The brakes are Tektro dual-pull callipers and they're good without being spectacular, slowing the bike with precision and enough power to give confidence. My key tester has rather fallen in love with cross-top secondary brake levers, and that the Hoy Cammo doesn't have them is, in his eyes, the only spec faux pas. But he does concede it's a 'cross bike thing, not a 'pure' road fitment. The fitting of the rider to the bike is well handled by Hoy. The 70mm-long stem and narrow 38cm bar with shallow drop (118mm) and short (70mm) reach combine to let youngsters attain the classic tops'n'drops positions without hurting themselves or relinquishing control of the bike. 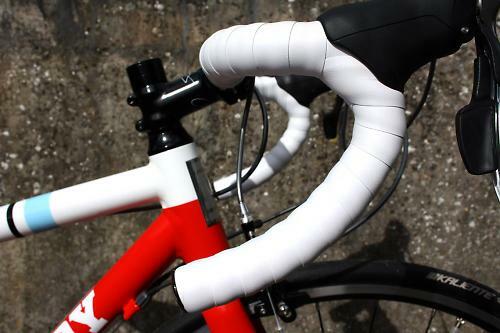 Bar tape is classic white, and is soft and relatively durable. 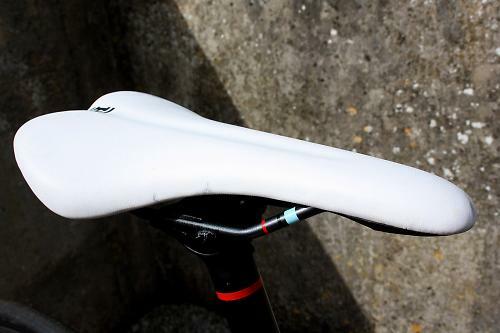 The saddle looks the business, and is both well shaped and colour coded to match the bike. Our tester didn't get on with it. Saddles are personal things, even when you're a kid. 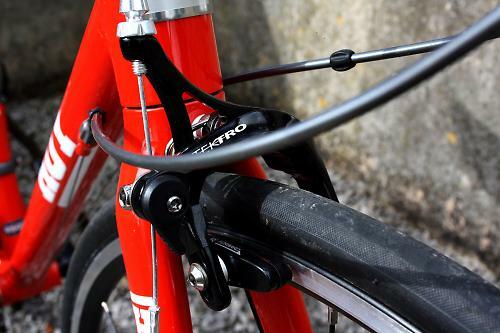 The seatpost, also colour detailed to match the frame, is a usefully long 350mm with an inline head that places the rider over the pedals and reduces the reach a whisker. The post has a twin-bolt head for easy adjustment. The wheels are light(ish), good looking and, the most important factor, strong, with 28 spokes lacing smooth-running (loose ball) Joy hubs to anodised and machined Alex alloy rims. No issues had or expected. 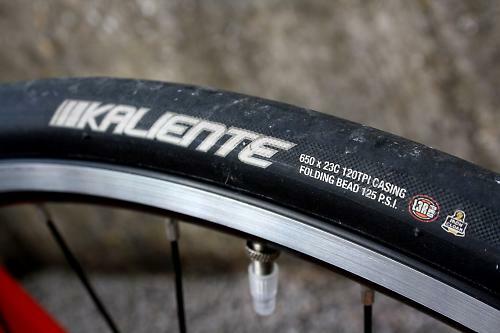 The tyres are a treat: folding-bead 128tpi Kenda Kalientes, featuring Kenda's top end LR3 compound and its Iron Cloak puncture protection system. Light, fast and durable, they have a full slick crown with a very, very fine file tread to the shoulders. They lend the Hoy Cammo a turn of speed and enhance the road feel of an already sweet-handling bike. Is this Hoy Cammo the real McCoy? It's a definite yes, from us. 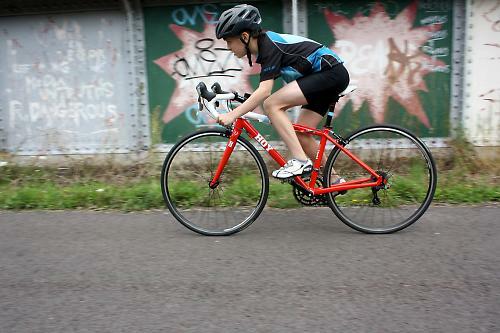 Where does it fit into the new world order of upmarket pre-teen road bikes? Pretty much on the top stem of the podium, where the Hoy bike's namesake made his home. This is a purist road racing bike built around 650C wheels - the last stop before full sized 700C 'adult' wheels. Hoy says: "The Cammo takes all the design cues and ideas that make the Sa Calobra a great bike and scales them into a smaller package." We're inclined to agree. The Cammo frame is a proper stunner. With its smoothed out welds and gloriously bright, shiny and durable paint, if it was an adult bike costing three or four times as much you'd not be unhappy. The ride is as focused and sharp as the design remit intended. That takes some getting used to for new young roadies for whom this will be their first real taste of a true pedigree road bike. Not quite as light as some, but it's a matter of grams not pounds. Plenty of opportunity to shave some off as parts wear out or as parental desire to upgrade permits. Generally good. A smooth ride without too much road buzz. Riders wanted a slightly softer saddle. You get a lot of bike and quality for your money. Granted, 500 quid isn't cheap for an intermediate bike, but it's on par with the best of the rest and if well maintained should re-sell for a good sum. Pretty much as described. Climbs efficiently, if not spectacularly, and descending inspires high levels of confidence. The Hoy Cammo feels like it was designed, built and specced by someone who really cares about road bikes. It looks and feels like a serious road bike, which the riders loved. We felt it was over-geared. The top gear needs to be smaller to induce a higher cadence, and the lowest gear needs to be lower. Young riders burn their batteries fast, and recharge them fast, but when the lights go out they need to be able to get up the hills to get home. The Hoy Cammo is a great bike, ready to concentrate a young rider's desire to get into road riding/racing in quick order. It's well made and looks stunning. Only the gearing and our preference for a slightly shallower bar bend stopped it from scoring higher. Gearing on kids bikes never fails to puzzle/amaze me. It's almost always wrong! I got my son a Giant TCR Espoir, which has a great frame and excellent kit, but the gearing was part OK, part rubbish (34-50 and 11-30). Add to that the fact that the older style shimano STIs are utterly useless for kids and you have a problem. As I was in the trade, I messed around with the bike, replacing a load of bits and it's much better, but the 50t ring is just silly so thinking of sticking a 46t ring on it to make it a little more sensible. As for most kids MTBs - the ones with a single ring up front (i.e. 20" wheel ones) tend to be massively highly geared thanks to a chainring that's way too big - my son never got beyond 3rd gear on his and couldn't climb anything bigger than a mole hill, until I switched him to deore groupset with a massive cassette. The only manufacturer I've seen with a sensible front ring size on such bikes is Merida, who fit something like a 24 or 26t ring. Most are 32+. Buy it, you know you want to. He will grow into it. Meanwhile just hang it on the wall & admire it. Gearing on kids bikes never fails to puzzle/amaze me. It's almost always wrong! Especially if the rider ever wants to race. OK, that won't apply to every child, but seeing the sheer amount of riders in U8 and U10 circuit races at the moment, it will be a fair few. Even if children don't race the British Cycling youth gear restrictions are a great guide for all parents and manufacturers to follow. The limit how high a gear the child can push, and stop over gearing and potential injury. They also teach children to spin, as the only way to go faster if they are on their max gear is to spin quicker. I would love to see a manufacturer apply that to youth bikes. Nice review of a nice bike - especially as it's now sold at £500 not at the £600 2014 launch price. I fully agree with the comments about gearing yet finding the right ratios and mech/shifter compatibility for small-market size bikes among the available parts in Asia is difficult. I have the same issues with some of my own bikes that use odd combos of MTB and road gearing, but adapting non-compatibles in my garage is different to production-spec bikes. A 32-42T, 150mm arm chainset and a front mech that worked with road STIs would be great but as far as I'm aware it doesn't exist. MTB doubles tend to be 10 speed only, they could work but arm length and mech compatibility becomes an issue. It's a shame, bikes like this are becoming more common though and I hope the gearing manufacturers pick up on it. The 13T small sprocket cassette was fitted to prevent over-gearing it too far but it's about as close as we can get currently.